Dorothee Royal-Hedinger was excited to tell me how much she loved this wonderful project. It was Inspiration Campaign’s 3rd year at the conference inspiring attendees to share their messages with the world and to participate in creating people-powered mass media as gifts to human consciousness. 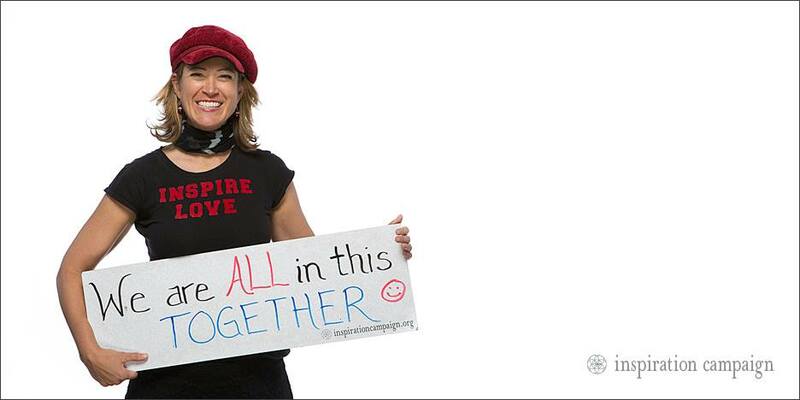 I spoke with its founder Robert Bengston who told me the idea for Inspiration Campaign came from seeing an advertisement plane in the sky and wondering what would happen if that message was replaced with something more uplifting. He shares his hopes for the future of Inspiration Campaign and what he sees possible for the world.